We are now accepting enrolments for students living in our home zone who will be in Years 1-6. Please note; Mission Heights Primary School’s zone is different to Mission Heights Junior College in some areas as both schools are independent of each other. We regret that no out of zone enrolments will be accepted until further notice. Please call the school office on (09) 277 7888 to confirm you are in the school zone before proceeding with the enrolment and to confirm which documents are required to show proof of address. To download an enrolment pack click on the links below. Alternatively contact us to receive enrolment forms and information by mail. 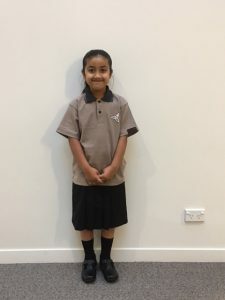 Our school uniform which is worn with pride by all Mission Heights Primary School students and is available from John Russell Schoolwear, 9 Moore Street, Howick, telephone: (09) 534 9373. We would appreciate every item of clothing being named clearly so that lost items can be promptly returned to the correct owner as we do not store lost property. Ear studs (plain, and only one in each ear) and watches are allowed but no other jewellery is permitted as it can be dangerous or a hazard. We would appreciate students coming to school in a clean, well groomed state. Make-up including nail varnish and skin adornments are for weekend wear. Black hair ties are appropriate for tying back hair of collar length or longer. Hair should be tidy and appropriately groomed for school and free of hair colourings, gel and extreme styles. We are a sun smart school and all students are expected to wear their school hat before, after and during school time when outside particularly in Term 1 and Term 4. Summer Roman sandals and winter school shoes are available from Hannahs, Number 1 Shoes and Milan Shoes, Picton Street, Howick. School shoes should be black, flat and have laces or a strap. Please ensure that they are polished on a regular basis. The boys are to wear black approved school socks. The girls are to wear approved black ankle socks or black opaque tights. This does not include footless tights/leggings. Any hair wear such as scarves are to be plain black. Girls are not to wear footless leggings to cover their legs, they must wear black opaque tights. Please see the Principal if you have any questions regarding this matter. Please refer to the Enrolments section for a full description of the school uniform. To maintain the excellent standards already established at the school, and to give all students the benefit of the ever-changing, current and effective e-learning and information technology resources, specialists staff and personalised learning programmes, Mission Heights Primary School Board of Trustees request that parents make an annual donation of $200.00 per year, per student. We ask that you support the school, its forward thinking vision for education and the specialist programmes we run for your child by paying the donation promptly and early in the New Year. All donations are tax deductible and a receipt will be issued. Parking for parents/visitors is limited on the school grounds to ensure the safety of all students and to avoid congestion during peak school traffic hours. There is no drop off zone on the school grounds. If a sick child is being collected from school, the parent will be given a code to enter the school grounds. The school gates are generally open in the morning prior to 7.15am for parents to drive in to drop their child at MKids for the breakfast club. The school gates also open after school from 4.00pm to 6pm for parents who are collecting their child from MKids. Gates also open during special events for both schools and parents to park on the school grounds for these special events. When can we enrol our children at Mission Heights Primary School? Enrollments are accepted from students who live in the school’s home zone at all year levels daily from 8.30 to 4:00pm. Enrollment forms are available at the school reception at 103 Jeffs Road, Mission Heights Schools. Are out of zone applications be accepted at Mission Heights Primary School? We regret that no out of zone applications are being accepted at Mission Heights Primary School at this time. Do Mission Heights Primary School students have automatic right of enrolment at Mission Heights Junior College? No. Only those students who live in the Junior College’s home zone are entitled to enrol at Mission Heights Junior College in accordance to their enrolment policy for the current year . Please contact the Junior College reception for the most current information regarding their enrolment policy. Where can we order the school uniform? The uniform supplier is John Russell Schoolwear in Howick. They will take your orders for all uniform requirements. 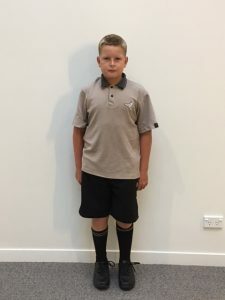 Will the Year 1 and Year 2 students require a PE uniform? Yes, all students from Year 1 to 6 require a PE uniform. Year 4 to 6 students are encouraged to have two sets of PE uniforms as these are used daily for PE and sports programmes. Why is the school called Mission Heights Primary ? The Board of Trustees consulted with the local community to ensure the school name reflected the history of the area. The name also lends itself really well to the development of our school and our growing new community in the new flat Bush suburb of the Mission Heights suburban environment. When did the school open? Our school opened on Wednesday the fourth of February, 2009. What year levels does the school cater for? What facilities and buildings are there? There are a total of 32 Learning Zones (classrooms), 10 Learning Studios (flexible learning environments) , an administration block, a multi-purpose hall, the Sir William Manchester Library and fields. There is also a junior and senior playground, beautiful gardens, two tennis courts, a soccer field, rugby field, and an all weather cricket wicket. How is the school governed and managed? A parent elected Board of Trustees, Principal and Staff Representative form the Board. Their role is the school’s governance. The Principal’s role is to manage the school. The Principal operates within the approved policies direction. Complete the Enrolment Forms attaching a copy of either a Birth Certificate or Passport, Immigration Documentation, (Residence Permit, Domestic Student Permit & Supporting Work Visa etc) and a copy of the Immunisation Certificate. a) An electricity invoice with your address etc. Return this information to: Mission Heights Primary School, P.O. Box 64448, Botany, Auckland, 2163. by mail, or drop into the school office. Does the school have an enrolment scheme? Yes. This was determined by the Ministry of Education after consultation with neighbouring schools and the community. Our school is obliged to apply the scheme and we are required to obtain proof of residence. Included in the enrolment pack is a detailed description of the zone. Please do not hesitate to contact the School Office if you need clarification. What happens if I live out of the enrolment zone, can I enrol? The Board of Trustees will closely monitor enrolments to determine the number (if any) of out of zone places annually, usually in September. Currently the school is not accepting any out of zone enrolments due to the housing development and growth within its school zone. How do I know the direction of the school? Please check the web site under “Charter” this sets out the priorities for the current year. What is the School’s Vision for Education? Mission Heights Primary School is committed to providing innovative and evolving personalised learning to enable students to be confident, active, reflective and high-achieving independent learners. What is the Learning and Teaching programme? The New Zealand Curriculum and its values, principles, key competencies and learning areas underpin all learning, teaching and assessment at Mission Heights Primary School. How will the school be able to cater for my child? Provide pre-entry Transition meetings for new parents’ induction into the school each term. Talk with families about their specific needs. Screen the learner with a series of tests. Contact their current school or early childhood centre and gather achievement information on their academic and social progress. Analyse this information and begin to look at any emerging learning trends from the above information to determine the level of the child’s learning abilities. What stationery will my child need and how do I get it? All stationery is ordered through MHPS Reception and the pack is sent to your child’s LZ when it has been paid for. Who do I see if I am not sure what is happening? For matters relating to your child please see the teacher, often a quick word may be all that is necessary to clarify things, however you may like to have more time, if so an appointment is a good idea. Teachers have staff meetings on Monday and Tuesday afternoons after school as well as other meetings during the week, so are often unavailable at that time. If this does not clarify matters then you are able to see the Deputy Principal of the learning community your child is in or the Principal as appropriate. If matters are not resolved then the school has a formal complaints policy, which is available from the School Office. For other school matters (i.e payment of accounts or other school organisation) the reception staff will happily deal with any queries. The school has a complaints policy which is available on request from the office. How will I be able to be involved in the school? Where might students go when they leave at the end of year 6? The natural transition of our students is to Mission Heights Junior College for their Years 7 – 10 academic studies on the condition that all students are living in zone at the time of starting at Mission Heights Junior College. On graduating from Mission Heights Junior College, students will typically enrol at Ormistion Senior College for their Year 11- 13 academic studies. Is there a compulsory School Uniform? Yes, this is detailed in the Enrolment Pack. How can I keep up to date with information on the school? Keep checking our website, this is updated regularly. Parents of students who are enrolled at the school will receive an independent log in access to the school’s website from the school’s reception. There are currently no teaching vacancies available at Mission Heights Primary School. Any teachers that are interested in relieving at Mission Heights Primary School, please contact Jenny Keber at jkeber@mhp.school.nz. The school is situated at 103 Jeffs Road, Flat Bush, Auckland. Parents are asked to telephone or email the school reception (email absence@mhp.school.nz or phone 09 277 7888) in the morning if their child will be absent from school. An answer phone service operates at all times for parents’ convenience. If your child/ren are going to be absent from school for an extended period please inform the office prior to the absence by providing a letter or email. We are required to have written evidence of an absence for audit purposes. Students who arrive late or who leave school during the day must be signed out at the office and signed in on return. Students who arrive at school after 8.40 am should report to the reception before going to their learning zones. Students who leave the school grounds for any reason during the day must provide a note from parents, be signed out at reception, accompanied by an appropriate adult, and signed in again if they return to school during that day. Any leave from school for overseas travel during term time is classified as truancy. Special permission needs to be requested by email and/or appointment with the Principal, well before any travel arrangements are made. The school takes any leave from school during term time seriously as it causes a backward slide in the students learning and social skills.